It is almost one year since the start of our Global Grant project so generously supported by the Rotary Foundation and our fellow International Rotary Clubs. 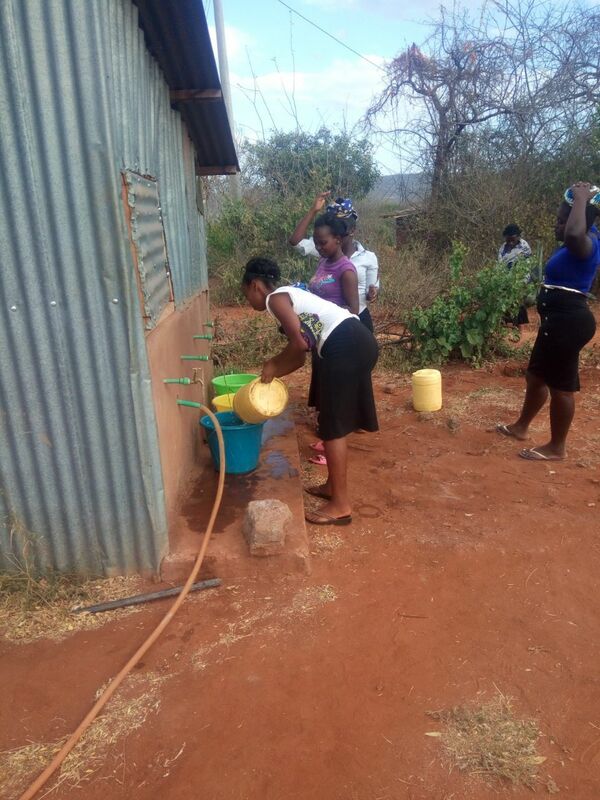 Thanks to the enormous efforts by our grant partners in Kenya, RC Voi and the Beyond Innocence Foundation, we were able to quickly bring fresh drinking water to the people of Landi. There was, however, one issue that plagued the well: due to the placement of the initial tank, the water pressure was very low; while not a big problem, it did cause long waiting times for anyone using the publicly accessible taps. 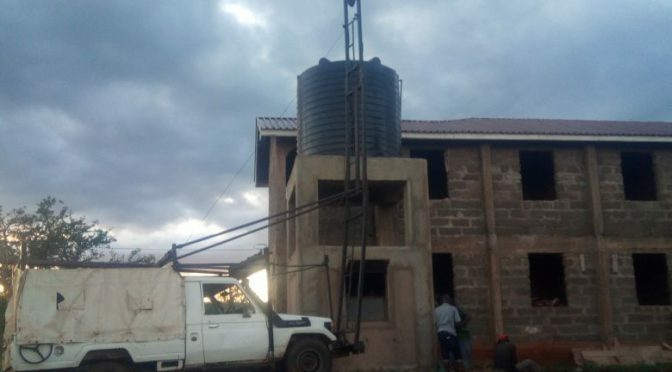 Late last month, a new elevated tank was finished and is ready to be used; it sits on top of a sturdy structure which includes a secure storage space for well-related items.